Madam Speaker, I wish to thank you for granting me leave to make the following personal explanation, pursuant to Standing Order 23. Madam Speaker, following debate on the Anti-Gang Bill, 2017 which commenced on Wednesday 6th December and ended in the early hours of Thursday 7th December, several comments and statements have been made in daily newspapers, and on radio and television stations, in relation to my participation during the Committee stage of the Bill. Madam Speaker, in my thirty-one (31) years as a Parliamentarian, I have never experienced the manner of objectionable and vile attack such as the one that I am now being subjected to. Members of Parliament, my very own colleagues, led by the Leader of the Opposition, herself a former Prime Minister, have engaged in an orchestrated course of malicious character assassination against me, by seriously misrepresenting events which occurred in this House earlier this week. I feel personally affronted and offended because as Prime Minister of this country, I extended myself and made a very concerted effort to ensure that this Government reached across the aisle to give serious consideration to the concerns of the Opposition on this particular Bill. 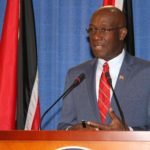 As some of you may now be aware, the Anti-Gang Bill sought to address serious challenges faced by the Trinidad and Tobago Police Service in treating with the problem of organised crime in this country. What compounds the offensiveness of this matter is the fact that the person at the helm of this most abominable and contemptible attack on both myself as well as on the records of this House, once held the office I now hold, and, like me, is a longstanding member of this House. I have listened very closely to the comments and statements being made, and I have been forced to ask myself, why is this sustained effort being made to misrepresent what I said and did during the consideration of this Bill? Upon reflection, the only conclusion that I have been able to arrive at, is that the intended effect is to damage me personally as Member of Parliament for Diego Martin West and as Prime Minister. Madam Speaker, I categorically reject any assertion or suggestion that I refused to negotiate or was uncooperative during deliberations on the Anti-Gang Bill. 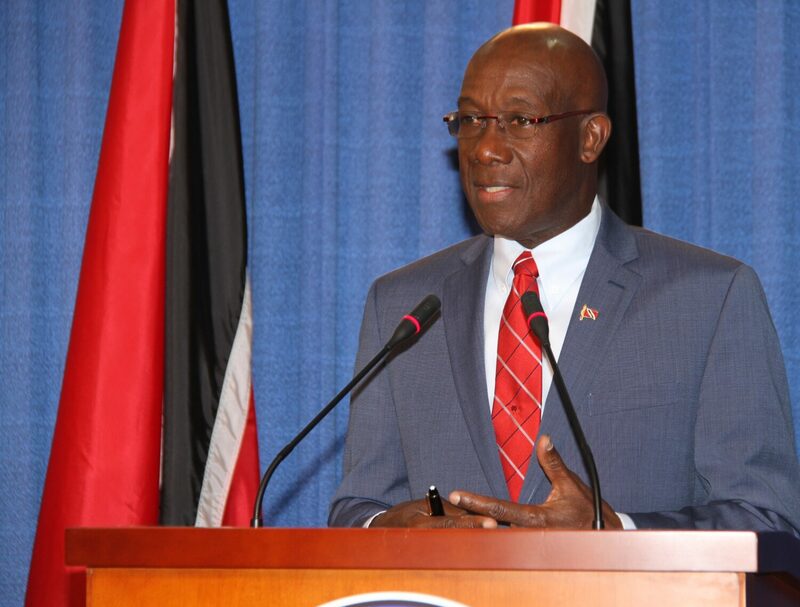 In the final analysis, the Anti-Gang Bill which was first read and introduced in this House, was substantially amended to give effect to the many requests made by the Opposition. During the consideration of the Bill, several issues were discussed and compromises reached. In fact, the inclusion of a sunset clause as a proposed Government amendment was a result of my own initiative. Madam Speaker, the amendment was included after I listened to the Opposition’s view on the issue, held discussions with the drafters and Members of the Government bench and more particularly, made a personal intervention with the Opposition Chief Whip, Member of Parliament for Pointe a Pierre, when we met, at my request, behind the Speaker’s Chair. In keeping with established procedure and the Standing Orders, after exhaustive discussions and the exchange of ideas on the duration of the sunset clause, which I insisted should be inserted into the Bill to give effect to the Opposition’s concerns, the question on the inclusion of a sunset clause for a period of 4 years was put. Absolutely no Member of the Opposition voted “no” against that proposal as this specific clause was put. Madam Speaker, I have served in Opposition for fourteen (14) years and it has been my experience and understanding that when an Opposition feels strongly about any particular issue during the consideration of a Bill in Committee, they will usually register their disagreement when the question is put on the particular clause. This did not happen on this occasion. The Official Report of the debates held in this House, otherwise called the Hansard, provides a clear and faithful transcription of words spoken during the proceedings. The Hansard ensures that democracy is accessible and transparent. Via the Hansard, any citizen has the opportunity to inform himself about decisions made by the Parliament, and to verify the records to see what has been said about any Bill or issue by every single Member of Parliament. In this case, the Hansard record will clearly show that the question for the inclusion of a new sunset clause was put to all Members three (3) times, and on each occasion there was not one single dissentient voice. So it is indeed shocking to hear the Leader of the Opposition who led her Members to vote against the Bill, thereby defeating it, now seeking to defend her actions by claiming that this position was motivated by my refusal to include a sunset clause in the Bill. Madam Speaker, we call each other Honourable Members in this House. So for any Member to misrepresent me with respect to proceedings of this House is an act that goes way beneath the dignity expected of us as Honourable Members. I therefore invite those who have heard the reflections made on my words and actions during Committee stage on the Anti-Gang Bill, 2017, to evaluate the events only on the basis of the records of Hansard, since the Hansard is where the only truth resides. 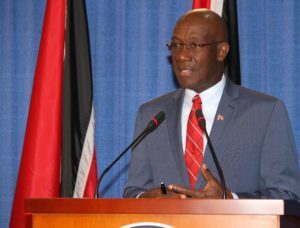 Madam Speaker, I wish to conclude by expressing my deepest disappointment that the Leader of the Opposition and other Members opposite are capable of engaging in such reprehensible conduct, which is in essence a misrepresentation of the Hansard record, the official record of what is said and done in the House. One would assume that Members would appreciate, through their own experience, honesty and integrity, the effect that this course of action would have. However, having made this personal explanation, I now leave it for the people of Trinidad and Tobago to read the Hansard and view the footage of the debate to arrive at the true position.